Furuncle. 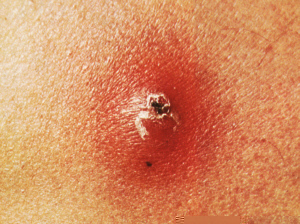 Note the large inflamed boil. Carbuncle. Note the large inflamed swelling which has ulcerated through several points.